What better to reason to get all dolled up then to attend a Breakfast at Tiffany's inspired tea party? 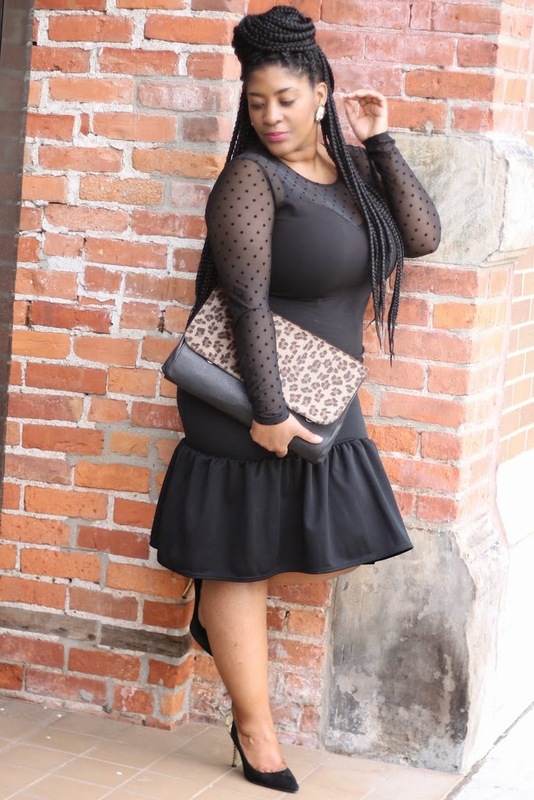 At first, I was a bit overwhelmed at the thought, because I don't have much black in my closet, but then I remembered I'd purchased this fabulous peplum hem midi skirt. I quickly remembered my sheer polka dot shirt and thought this would be perfect for the party. If you notice in the pictures I switched up my accessories, that was after I found this lovely gold belt and cute little black clutch at Flossy's Suitcase, which is the fabulous vintage storefront that hosted the fabolous party! I really like the cutesy touch these accessories added and thought they really captured the Breakfast at Tiffany's feel, yet updated it a bit. If you missed my recap of the event, head here to check it out here! Have you ever been to a tea party? Clutch the Perfect clutch, here's a cute one.